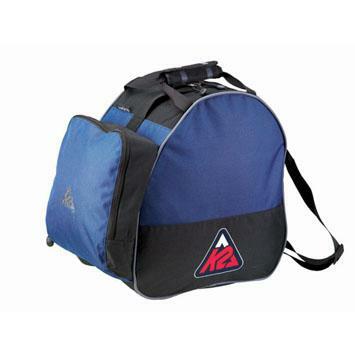 The K2 Cascade Ski Boot bag is a triangular boot bag that holds ski boots up to size 12. This ski boot bag also has a separate accessory compartment for your goggles and gloves. If you need a bag to carry to the mountain look no further than the K2 Cascade Ski Boot Bag.